NEW JERSEY -- As lawmakers push to get a health care bill through the Senate, one New Jersey mom is speaking out. Alison Chandra's son, Ethan, was born with heterotaxy syndrome, a rare genetic disorder in which organs form on the wrong side of the body, WGHP reports. "Heterotaxy syndrome literally means different arrangement," Chandra said. "Any of the internal organs can be malformed, missing, multiplied or misplaced. Ethan was born with nine congenital heart defects and he has two left lungs. Five or so spleens of dubious function, his liver, and his gallbladder are down the middle of his body along with his heart, and then his stomach is on the right instead of the left side." "It seems fitting that, with the #TrumpCare debate raging, I got this bill in the mail today from Ethan's most recent open heart surgery," she wrote. "I'll save you some math," she later tweeted. 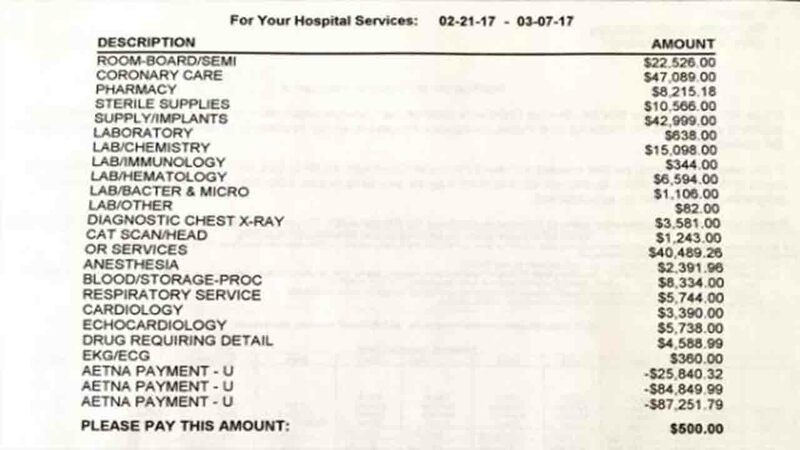 "Without insurance, we would owe $231,115 for 10 hours in the OR, 1 week in the CICU and 1 week on the cardiac floor." "I didn't follow politics before November. I was overseas for both of President Obama's elections," Chandra said. "I have been shocked at how loudly each side yells about their specific talking points. It paints these issues as black and white when they are anything but that. It seems like our kids are being reduced to a line in a budget.No one seems to realize there are real people behind it." Chandra has received some negative comments about her tweet but she said she's just happy she can still hold her son.